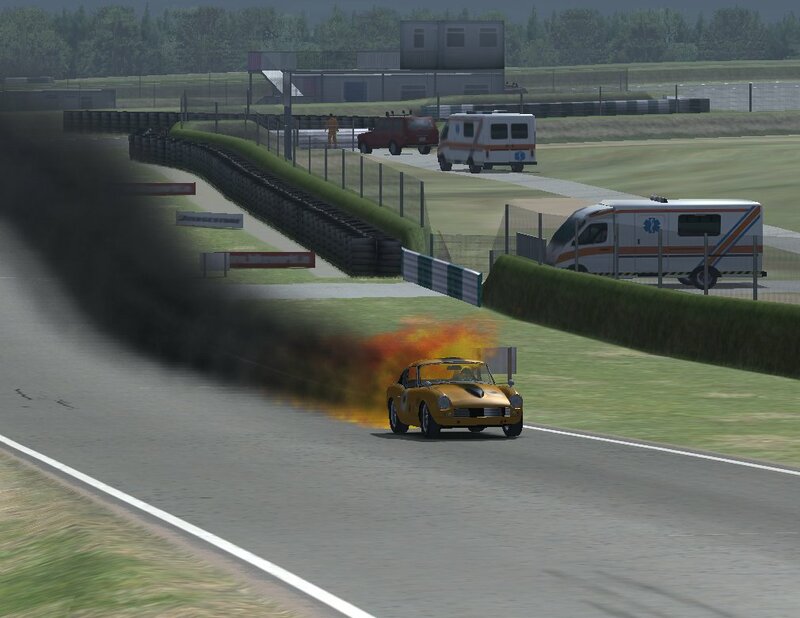 A Triumph GT6 Mk II @ Mondello Park Short that I've privately converted from GTL-GTR2 to GTL. Mod by Speedster63. Gonna try to contact him for permission to post the conversion. Mod has 10 cars in 2 classes (2 in TC-65 and 8 in GTC-65) and they look very nice. The genstring is 7 characters; not extensive, but is explained. MOF is this car available for gtl-gtr2? Can someone point out an e-mail addy for him, or a site that he visits so's I can PM him? Or can someone who has contact with him ask him if it's alright to release my conversion of his Triumph GT6 Mk II from GTL-GTR2 to GTL? You could ask Deep-Strike. He worked a lot with Speedster63 for the Simca 1200S.